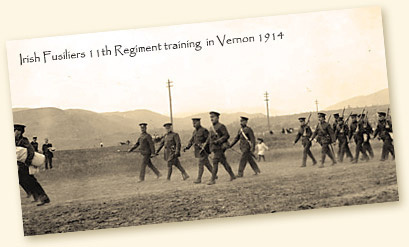 The Irish Fusiliers of Canada (The Vancouver Regiment) was formed in East Vancouver on Commercial Drive in 1911. The Regiment was a Militia Regiment of the Canadian Army and served with distinction in the First World War as part of the 29th Battalion. Its members again served in the Second World War at which time the Irish Fusilier’s Pipe Band was raised under Pipe Major James Watt and saw service in Jamaica and Holland as the Staff Band to General Crear, Commanding Officer of the 1st Canadian Army Group. 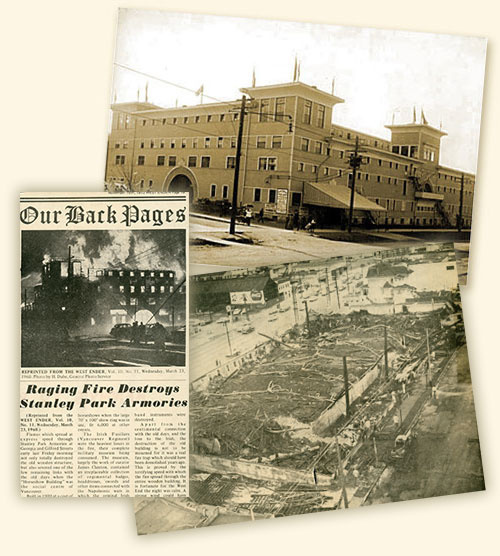 The Regiment was housed between the two wars and thereafter at the Stanley Park Armoury (the old Vancouver Horse Show Building) at the corner of Georgia and Guilford Streets near the entrance to Stanley Park until it was destroyed by Fire on March 18, 1960. The Regiment including the Pipe Band was disbanded in December 1964, and placed on the supplementary role of battle. In the 1990’s a decision was made to amalgamate the name and Battle Honours of the Irish Fusiliers of Canada with the B.C. Regiment in order to preserve them. The amalgamation was completed in 2002. From the planned amalgamation came the desire to rebuild the Irish Pipes & Drums which started in 1997, under Pipe Major Gordon Barrett and now is a visable part of the B.C. Regiment. The band maintains a proud sense of honour in representing the history of the Irish Fusiliers of Canada (The Vancouver Regiment). The original Vancouver Irish Fusiliers were housed in a drill hall near Stanley Park until it was destroyed by fire in 1960. The 2002 merger with the British Columbia Regiment (BCR) at the Beatty street drill hall enabled the preservation of the regement's Battle Honours and band name. The band maintains a proud sense of honour in representing the history of Vancouver's Irish Fusiliers. The Irish Fusiliers were formed in 1911 in East Vancouver and served until being placed on the supplementary role of battle in 1964. James Watt has excelled in all branches of piping - as a performer, Pipe Major, teacher, composer, and administrator. Born in 1922, James began piping at an early age under the instruction of his father. He went on to take lessons from Ed Esson, Donald Maclver and John Gillies. When he turned professional in 1941, he won nearly every possible open prize including the MacCrimmon Cairn four times. Too young to be sent overseas with the Seaforths during the beginning of the war, he was transferred into the Irish Fusiliers Battalion, where he built the pipe band from the ground up. Once sent overseas, he took lessons from P-MWilliam Ross in Edinburgh. At age 23, he became the highest-ranking Pipe Major in the British commonwealth, and likely the youngest. After the war, James was well known for his weekly "Wandering Piper": radio show on CKMO Vancouver. 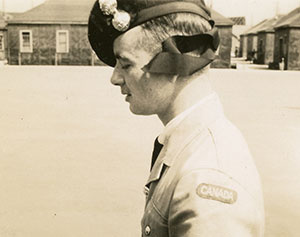 After taking a long break from piping to serve in the Canadian Army, James founded the Western Academy of Pipe Music in 1978. He was also fond of composing and of studying piobaireachd. His piobaireachd playing ws greatyl influenced by John Macdonald in Inverness.